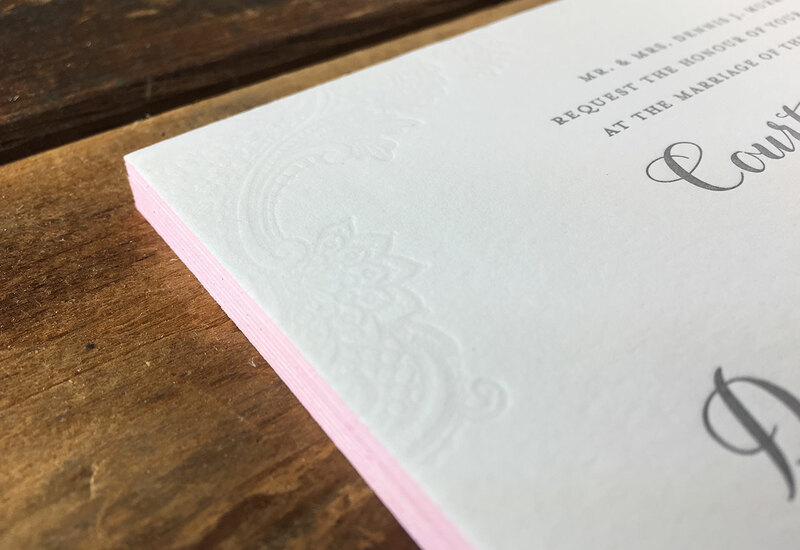 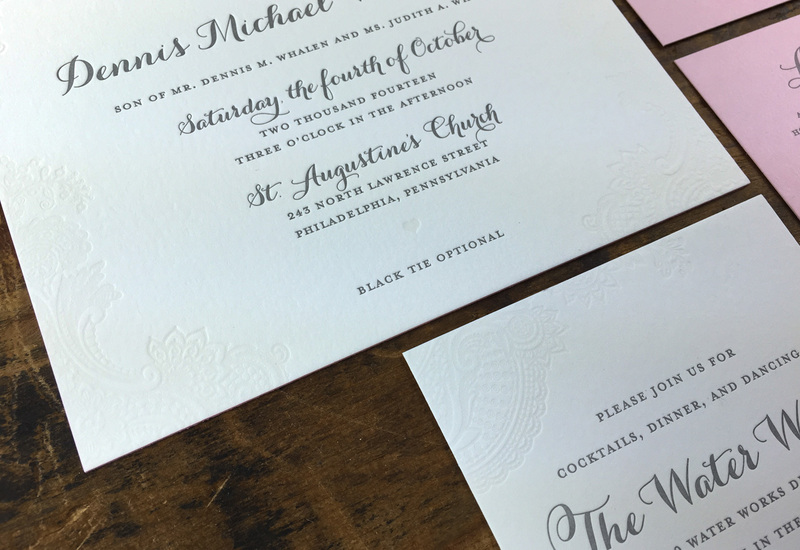 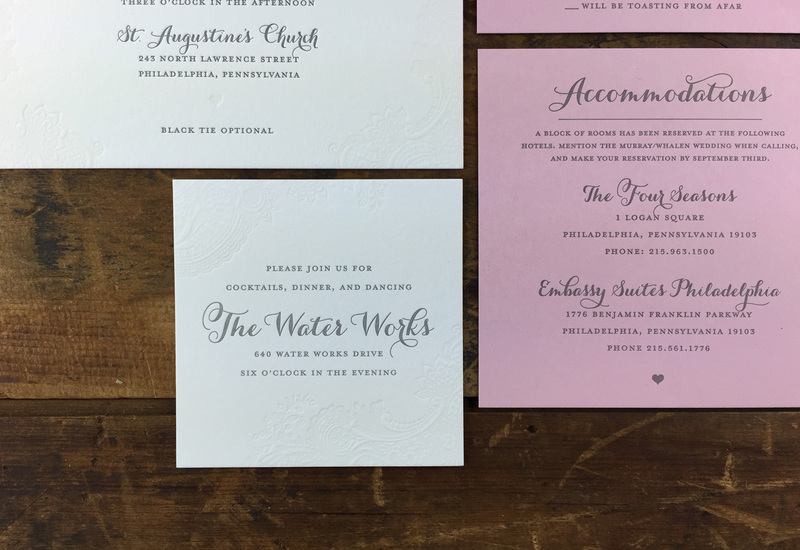 This wedding suite was printed on Pearl Lettra and also French Paper Co., Pink Lemonade. 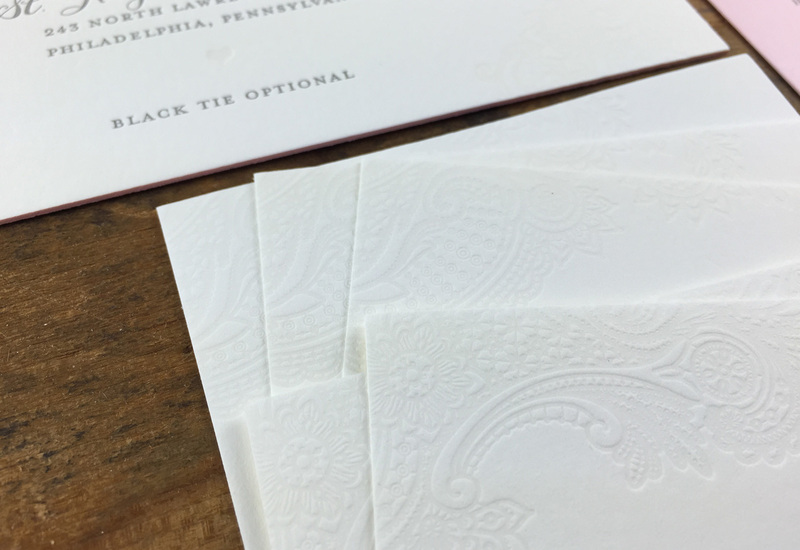 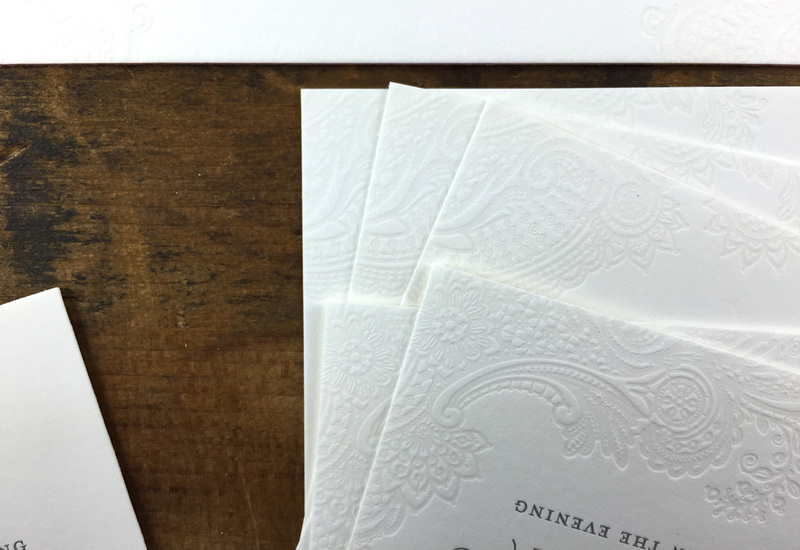 The blind printing on the invite and info card added a nice subtle touch. 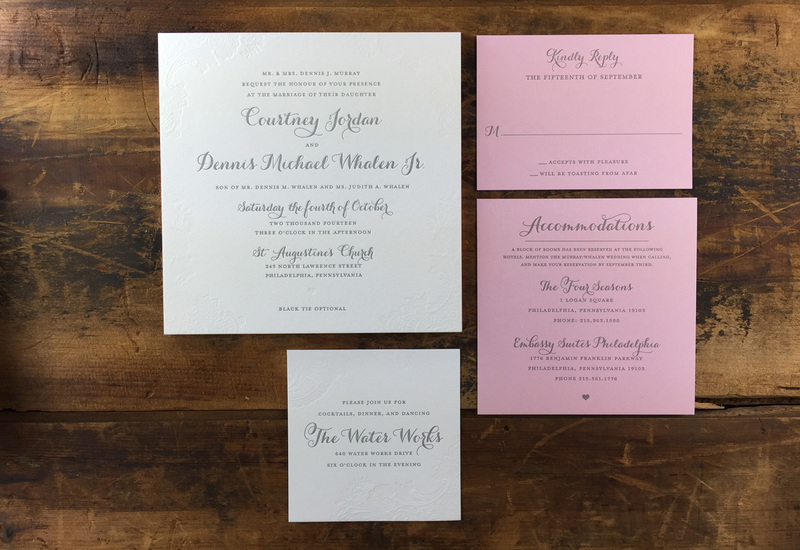 The invite was finished off with edge painting to match the pink paper.